A refreshing foaming facial wash to deeply cleanse and purify while leaving skin feeling soft, supple and comfortable. Peppermint cools, Lemongrass, Lime and Lemon deliver a reviving citrus boost and help balance oils, while naturally foaming Oat Extract, Olive Oil and Wheat Extracts help leave skin fresh and clear. 1. Apply 1-2 pumps to damp skin morning and evening. 2. Work up a lather then rinse away with warm water. 3. 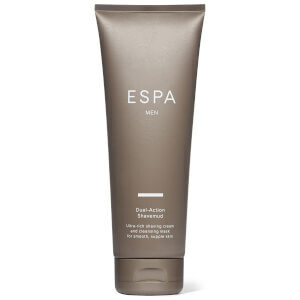 Follow with your preferred ESPA moisturiser. Water (Aqua), Coco-Glucoside, Sodium Cocoyl Hydrolyzed Oat Protein, Polysorbate 20, Olive Oil Polyglyceryl-6 Esters, Phenoxyethanol, Leuconostoc/Radish Root Ferment Filtrate, Caprylyl Glycol, Xylitylglucoside, Anhydroxylitol, Citric Acid, Lavandula Hybrida Oil, Xylitol, Citrus Limon (Lemon) Peel Oil, Allantoin, Limonene, Butylene Glycol, Linalool, Cymbopogon Flexuosus Oil, Citral, Mentha Arvensis Leaf Oil, Cymbopogon Nardus (Citronella) Oil, Rosmarinus Officinalis (Rosemary) Leaf Oil, Citrus Aurantifolia (Lime) Oil, Geraniol, Thymus Vulgaris (Thyme) Flower/Leaf Oil, Glucose. As it says - really refreshing! The skin feels really soft! One of the best I have ever had. 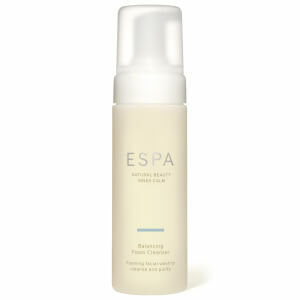 I started using ESPA a year ago When I found my skin to be more sensitive and am a complete convert. My skin is so much better since using ESPA. My husband had been using Clinique products for a few years and I told him about ESPA but he said he would never use anything else. 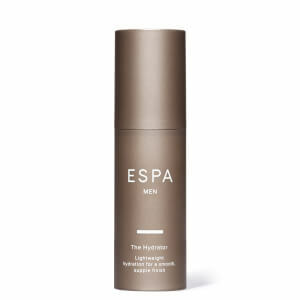 I was convinced he’d love ESPA so I decided to buy him the men’s starter pack for him to try and I was right - he loves it too! It is so much better for his skin than his other brand as it is all natural ingredients and smells great! He especially loves the shaving mud. Two very happy customers! Good and excellent to use. I squirt it just the once onto my palm and it certainly goes a long way. It also helps my skin. It feels soft and luxurious. I'd recommend it. Amazing face wash leaves feeing clean and refreshed. My husband and I both use this product and find it refreshing and simple to use. Bought for hubby, this is his favourite face wash out of all others tried.